Dental office of Dr. Kurt Laemmer Jr. Serving Bradford area. 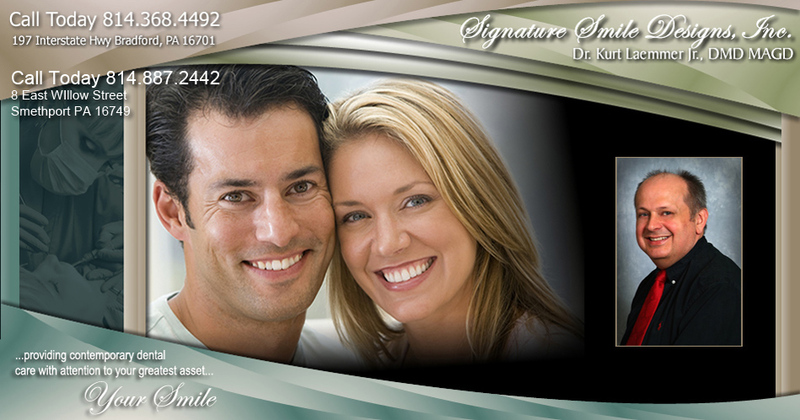 We offer a wide range of dental procedures that will make a difference in your life. Healthy teeth, gums, and a beautiful smile is our goal for every patient. Our practice can perform, Cosmetic Dentistry, Retorative Dentistry, Tooth Whitening, Crowns, Bridges, Porcelain Veneers, Dentures, and much more! Click on the procedures below for additional information.